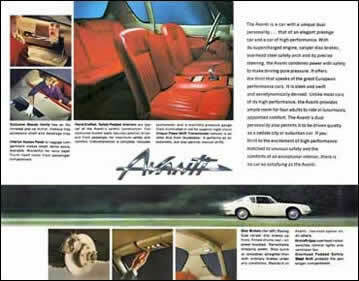 Avanti . . . Advanced! 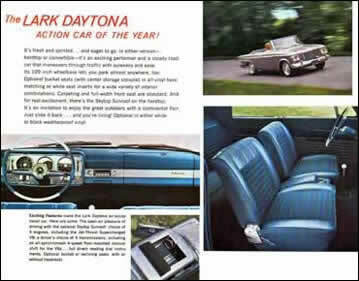 No other word describes the 63 cars from Studebaker. 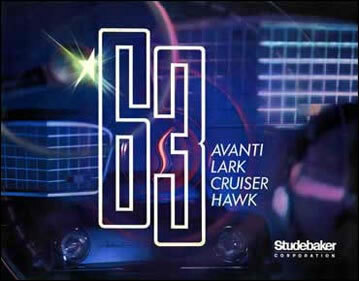 These are advanced automobiles - exciting automobiles inspired by the Avanti, America's most advanced prestige car. Introducing to the American car scene exclusive and advanced styling and engineering features such as space-age Aerodynamic-Wedge styling, thrilling Jet-Thrust performance, caliper type Power-Grip Disc Brakes, Beauty Vanity, luxurious new interior beauty and spacious comfort, precision engineering and quality! There's an outstanding selection of distinctive, advanced-design cars from Studebaker priced for everyone! The budget-priced LARK, the luxurious CRUISER, the action-packed DAYTONA, the elegant Gran Turismo HAWK sports coupe, the exclusive sliding roof WAGONAIRE, and the sophisticated and safety leader – AVANTI. 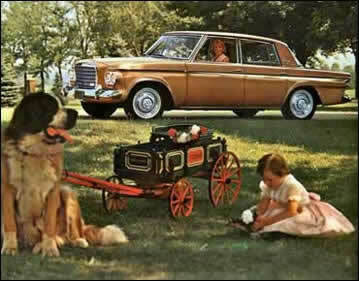 Each is a distinctive triumph of master craftsmanship – a superlative example of the Advanced Thinking of Studebaker. 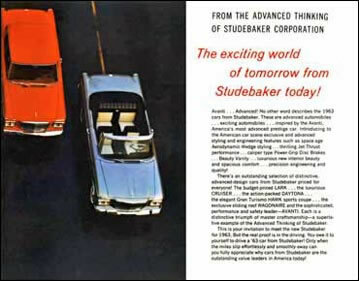 This is your invitation to meet the new Studebaker for 1963. Only when the miles slip effortlessly and smoothly away can you fully appreciate why cars from Studebaker are the outstanding value leaders in America today! 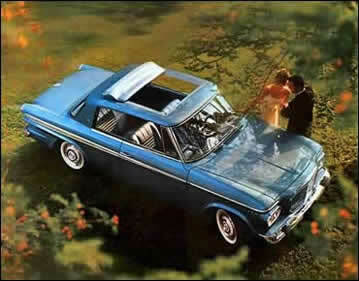 Studebaker's "63" brochure cover. 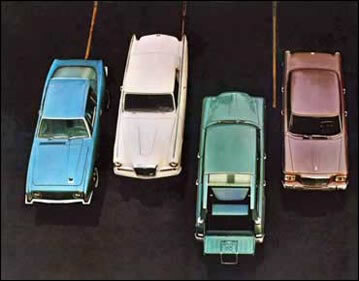 This was the Studebaker Automotive Division 1963 Lineup: Avanti, Hawk, Wagonaire, Lark two and four door sedans and the Lark Convertible. 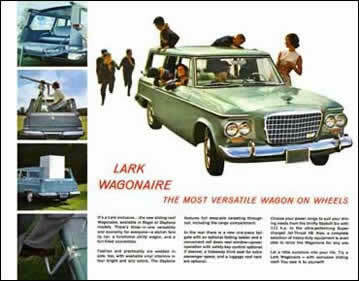 Avanti, Hawk, Wagonaire, and Lark sedan. 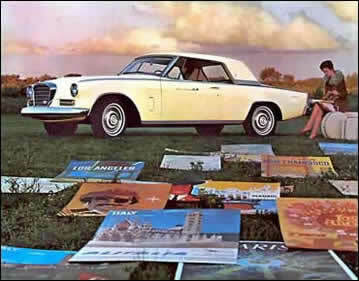 Two Larks complete the Studebaker lineup for 1963. First in the lineup is the 1963 Avanti. 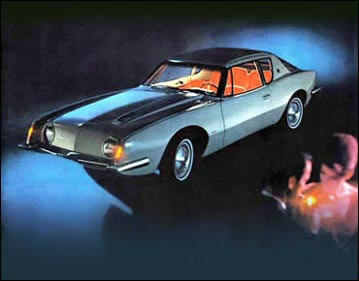 Studebaker's dramatically lit 63 Avanti. 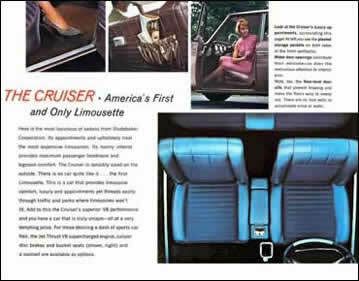 America's first and only Limousette. Action car of the year. 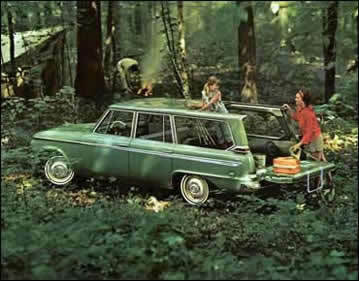 The most versatile wagon on wheels. Studebaker's European type road car. 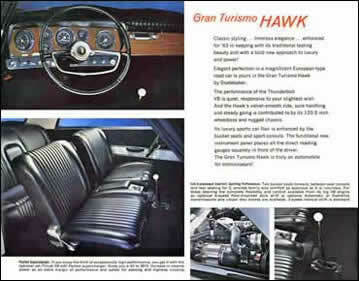 The Studebaker Gran Turismo Hawk. 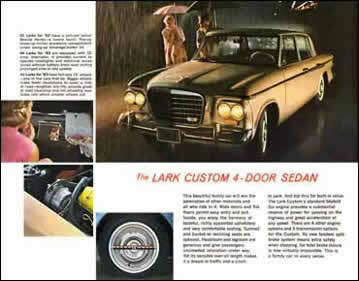 The Lark Custom 4-door sedan. 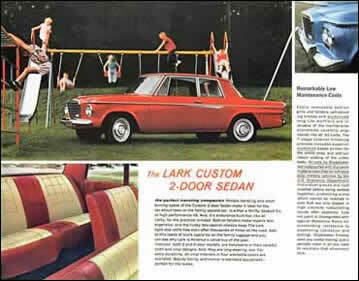 The Lark Custom 2-door sedan.